So, I’m looking for manga cleaners/typesetters to help me translate manga/doujins on the side. You can find me on Discord (ping @Toki at http://discord.gg/0uufyDAsTZbg67TU ). Thank you, and please enjoy the chapter~. A woman in a hat appeared, wearing a white muslin apron over blue cotton dress. That woman was Agnes. Her hair was styled in her usual braids, and the long ribbon that dangled from her hat swayed gently. At first glance, her clothing suggested that she was a servant. However, her elegance and grace suggested otherwise. Her dress lacked puff sleeves and was long enough to cover her ankles, and although her apron was popular amongst the servants for being light and easy to dry, it was so thin as to be translucent and was made of cheap materials. Though there were those among the nobles who put up appearances by preparing expensive clothes for their servants, Bernard was not one of them. Basically, he left any concerns about garments and such to the head of the servants, Gigille. Though the outfit was a complete anachronism, when Agnes wore it, for some reason, it appeared elegant. –It’s hopeless, she won’t look like a servant this way!! Bernard had thought that if she just had the appearance of a servant, while he thought about her service, she would somehow continue to be concealed. Nevertheless, Agnes, who was dressed in a servant’s attire in front of him, could only be seen as a noble’s daughter. There was no servant so refined as this. Agnes approached without a sound. Because he was deep in thought, Bernard was so astonished that his shoulders shuddered. Though his heart had flown out of his chest just from being greeted, Agnes immediately drew much closer. He accidentally yelled at her to come back after learning the distance servants should keep from their master. Quickly taking off his overcoat, he threw it to Agnes. Though he started heading toward his room dressed in that fashion, a voice from behind came to his attention. To catch up with his rapid strides forward, Agnes followed in a trot. Because he felt a bit of pity at her now uneven breathing, Bernard came to a stop. Agnes had bumped into the now stopped Bernard’s back. Because it was only a light impact, it didn’t hurt or anything, but at this absolutely careless situation, he became irritated and turned around with an angry look on his face. Agnes apologized earnestly. Bernard looked down at that girl while furrowing his brows. Even here, a question floated into his mind. Whether this girl was actually that Agnes Le Verges. Agnes, who was born into a distinguished earl’s family that was said to have a long history, had debuted in the brilliant high society. Called the resplendent rose, he had thought her to be a very prideful noble daughter who looked down upon lower class nobles. Once again, he had fallen deep into thought in front of Agnes. Shaking his head furiously, he inquired what her business with him was. After properly straightening her back, Agnes asked her question with a clear voice. A bath or a meal. It was what Eric had always asked. Because the inside of his head was still hazy, he thought it would be good to go take a bath to clear his head up. After hearing that, he came to his senses and remembered. Previously, by chance, he had heard Gigille jokingly telling her husband, Dominic, those words. –Would you like to take a bath? Would you like to eat a meal? Or, would you rather rather have m~e~? The moment that came to mind, Bernard’s face flushed a deep red. Though he felt like yelling at Gigille, who had taught her unnecessary things, before that, he thought he should respond to Agnes’ words first. Saying that, he returned to his room at a quick pace. Agnes, upon hearing the reply to her question, did not continue following him. Washing his sweaty body, he relaxedly settled into the bathtub. Before he knew it, rain had started to fall. It wasn’t a gentle, weak rain, but a rain that poured heavily and loudly. The raindrops that intensely hit the ground interfered with Bernard’s thoughts. Resigning himself to the fact that he wouldn’t come up with an answer even if he continued to think long and hard about it, he exited the bathtub. At the same time, he heard Eric’s voice from outside the bathhouse. Hanging his towel on his shoulder, Bernard responded. The history of the mansion Bernard owned numbered around a hundred years. While doing the biannual inspection, they used every trick in the book to live there. Frankly speaking, it was a run-down mansion. Though he had from time to time heard from Gigille’s daughter who lived in the attic that there were leaks in the roof, it was the first time he had heard that it had leaked to the lower floors. Eric said that because it had hailed during the day, that might be the cause. For now, Bernard commanded him to take make temporary repairs so the second floor did not get ruined any further by rainwater. After drying his hair and body off well enough, he put on new clothes. When he ran up to the third floor, he heard the loud noises of the servants running around. The ones who noticed Bernard were Gigille’s twin daughters, Carol and Celia. They were beauties with black hair and blue eyes. The twins were placing buckets under the dripping rainwater and swapping them out. Speaking of the attic, he had heard it was the room that Agnes was using. Leaving the third floor to Gigille and the twins, he headed to the place where the roof was leaking intensely. When he ran up the stairs, he witnessed a person cowering in front of the door made of two sheets of paper. It was the teary-eyed Agnes. Her hair and clothes were only a little wet. The thing she was embracing as if to protect it was a dripping wet suitcase. It was the object that contained the only private property she had left. As soon as she saw Bernard’s form, Agnes hastily stood up and bowed. She apologized in a trembling voice. Brushing aside Agnes, who was in the middle of the doorway, he entered the room. It was the first time he had entered the attic. Because the eldest daughter of the previous master, Gigille, had stated that the room was “My private castle,” even just looking at the room would have been considered an atrocity. Currently, in the middle of the room, it was drizzling. In the middle were Dominic and the second son who was in charge of the kitchen, Aaron. They were in the middle of patching the roof up with planks. After he had called out to the two who were working, Eric came around from the back. His business was asking if he should go to request the aid of a carpenter for the rest of the work. If they patched it up with boards, they would have to do it for the room as well. He gave the order to put as many buckets, bowls, and such out to catch the water in the attic. Snatching away the three boards, hammer, and nails that Aaron was holding, he opened the window. Outside, it was stormy. A strong wind blowing against them, the rain was blowing sideways. Seeing the state of affairs, he quickly went to stop Bernard. If they were told so by their master, it couldn’t be helped. The manservants went to the first floor to grab bowls. Bernard hung the hammer on his belt and put the nails in his pocket. Carrying the planks at his side, Bernard, placing his feet on the window frame, climbed up on top of the roof. Because the rooftop was pitch black, he couldn’t see anything. He needed a lantern. After he hurriedly turned around, he lost his balance after slipping on a wet roof tile. However, somehow, he held on, and instead of heading down from the roof, he calmed down. If he were in a panic, he would get hurt. It would be natural to instruct someone to be composed in this situation. Bernard put the boards in the roof’s gutter and, while hanging down from the roof requested that someone to come bring him a lantern since he felt the presence of people. As a lantern was immediately held out to him, he extended his arm and received it. After he said that, the window was shut. He was on top of the roof a second time, with the lantern shining at his feet. As Eric had said, the terracotta tiles were broken in a few places. While wondering how big the hail that had fallen down was, he unintentionally creased his brow. Tearing off the broken roof tiles, he hammered the replacement planks down. As the three planks were insufficient, Bernard lowered his lower body from the edge of the roof and knocked on the window with his heel. At the instruction, a single plank was held out toward him. He extended his arm, and upon receiving the plank, he saw three trembling planks being held up. Bernard picked them up with one hand. In total he had seven planks, and he said to close the window. Happily, the roof tiles were damaged in only ten places. After hammering the replacement boards, the roof leak problem was solved. After finishing patrolling the roof, Bernard descended. There, servants were cleaning the floor in every direction. After murmuring that, he noticed Agnes, who was cleaning. He tilted his head at the girl who was wetter than anyone else. Though when he saw her earlier, she shouldn’t have been this wet. Agnes looked up at Bernard with teary eyes. Her shoulders were trembling, and he thought that she looked like a kitten who had been abandoned in the rain. During that time, Gigille forced her way through. He understood why the three planks that were held out were shaking. To the powerless noble’s daughter, the three thin planks must have been heavy. Pulling Agnes’ arm, he made her rise. After that, he turned her body right around and pushed her back toward the doorway. Saying that the men should clean up the room, he ordered the women to change into dry clothes. The twins happily said their thanks and started tidying up the cleaning equipment. Agnes stood there alone, all shaken up. Having her back pushed by Gigille, Agnes left the room. In the attic that had lost its showiness, Dominic, Eric, and Aaron resumed Bernard’s ordered cleaning activities. The author is doing a very commendable job of making me feel sorry for Agnes, poor girl. still misunderstanding? I will gauge from the next chapter how long it will be until it is cleared up. My wildass guess will be glorious. Seeing as the whole story is based around the misunderstanding, it probably won’t be resolved till the finale. shhhhhhhhhh I need more data…. The fuwa-fuwa stuff will apear soon right? I wonder how big each plank is. If they’re sized approximately like a 2×4, I’d say that she’s actually kind of strong. I-it’s not like I am excited seeing Agnes wet. I just pitied her that’s why I ordered her to change her clothes so don’t misunderstand baka. Good girl Agnes deserves a better life. Let’s pray so the ship can sail soon. Agnes is really cute, Bernard is horrible though, such a crude guy, Hmph, he should take some serious lessons regarding how to properly treat a lady, no wonder a brute like him didn’t get married yet. 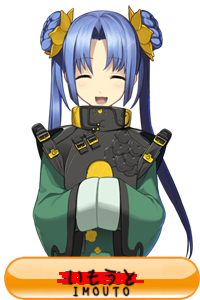 Hoping Agnes ends up with Djibril as a marriage partner, a guy like Bernard isn’t worth such a cute girl like her. Nope, I dont like djibril for some reason, and I bet she will end bernard. That “or me” part was priceless. What are they teaching her? When will noble Agnes become Megane Agnes?!!! When will the ship sail I wonder. Hey guys. I hear this series is getting a light novel with pictures and stuff. After looking at the cover image…. could her narrowing eyes have anything to do with this? Oh dear, tampering with the servant assignments? Doesn’t he know how rude that is? He is trampling all over Gigilo’s authority! Hmmmmm, I’m rather in betweenabout this LN. It comes off at being a bit stereotypical in a sense with characters and setting, it comes off with a different plot, and the story so far is interesting enough to make me want to read more. There’s not enough of that oomph to make me want to read it more. But I see this has potenetial and so will force myself to see it through. CAUSE I SEE A LOT OF POTENTIAL. But ugh. I want more cuteness and a little more comedy. The series has comedy so far, but rather typical and seen before comedies so its not really enough for me. BUT I KEEP GOING FOR THE POTENTIAL. And also I like this Eric character, gotta watch out for him and keep my eyes on him. Also cough. Ahahahaha! The Or me part came! It’s here~! Hm.. I can see how his gruff attitude could be cute. Yup. Plus, he truly does care about the whole honor and chivalry thing. So yup. Isn’t he worse? Even with all the trying she is doing, her ‘nobility’ makes him assume she is evil and same with her looks. And now he orders her around to get back at her heritage which she just lost? Some knight.